Scan Film or Store was approached by a large institution to assist in the secure destruction of over 24,000 kilograms (about 24 tonnes) of outdated archive microfiche. The client required us to manage the entire project, from taking the microfiche out of the bespoke fiche cabinets to eventual witnessed incineration. The fiche was placed into robust polypropylene bags which were then security sealed with bar-coded tags and accurately weighed. The packed bags were then scanned into a secure truck, security sealed and transported in loads to an incineration site 26 miles across a major city whilst being closely escorted by security representatives of the client and members of our own security cleared staff. 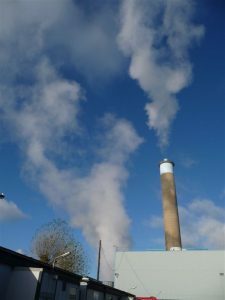 At the incinerator the bags were scanned off to ensure that the whole load was accounted for and then our staff conveyed the bags to a dedicated incinerator and fed them into the chute leading to the burner which operates at over 1,000°c. In all nearly 1600 bags were packed, sealed, weighed and eventually destroyed in this way. Microfiche burns extremely hot and emits noxious gases which have to be very carefully controlled so the loads were evenly spaced over three days. The project was extensively planned and tailored to the clients’ requirements with written project timelines and costs and the client was actively involved throughout the entire planning process. As a result the project was completed over 4 days without incident and the client could produce an unbroken audit trail and final certificates of destruction.